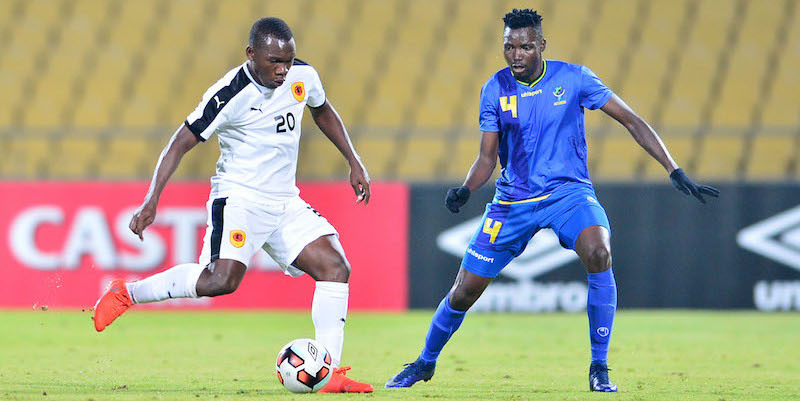 Neither Angola nor Tanzania took the opportunity to move closer to securing a berth in the Cosafa Castle Cup quarter-finals as they played out a goalless draw in Tuesday’s Group A top-of-the table clash to leave the race for first place open. Tanzania still lead on goal difference with both countries on four points but the draw also handed a slim lifeline to both Malawi and Mauritius, who were also goalless in their clash earlier in the day at the Royal Bafokeng Sports Palace. But for Malawi and Mauritius to stand any chance they must win their last games on Thursday and overcome their inability to score so far at the annual southern African championship. The last round of matches are played simultaneously on Thursday with Angola against Malawi at the Royal Bafokeng Sports Palace and Tanzania taking on Mauritius at the Moruleng Stadium (kick offs 5pm). Both Tuesday’s encounters were devoid of any clear cut chances on a chilly night in South Africa’s North West Province. Malawi had the lion’s share of possession and circulated the ball well but were largely shut out in the final third and when they did get a shot in on target found the Mauritius goalkeeper Kevin Jean-Louis again in top form. He stopped an effort from Innocent Bokosi in the first half and made a goal line save from the same player in the second half. Angola had the better of the opening chances against Tanzania but their only clear cut opportunity was spurned by midfielder Paty, who ballooned his shot wide. With 10 minutes left substitute Carlinhos was put clear by Bugosx’ pas but his touch, his first after coming on, let him down and allowed Tanzania goalkeeper Aishi Salum to make a brave stop. Tanzania captain Himid Mao came close from long range with 20 minutes to go for Tanzania. The winner of Group A advances to a quarter-final on Sunday against hosts, and defending champions, South Africa. The two-week tournament continues on Wednesday with the second round of matches in Group B where Zimbabwe and Madagascar play a top-of-the-table clash after both winning their opening games on Monday. That meeting at the Royal Bafokeng Sports Palace (7.30pm kick off) is preceded by the clash between Mozambique and the Seychelles (5pm kick off).